ARE you Emily the early lodger, Fiona the freeloader or Terri the tax cheat? 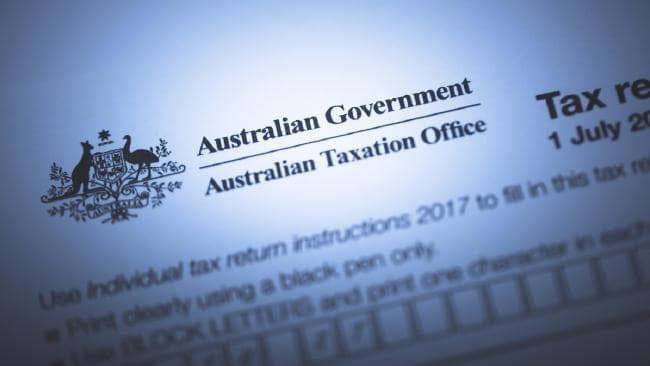 The Australian Taxation Office has revealed the five types of people who make the five most common mistakes on their tax return. As tax time kicks off this weekend, the ATO is warning that it's often simple misunderstandings that trip people up. "While we know most people want to get it right, our audits and reviews show that there are five main areas where taxpayers are most likely to get it wrong," ATO assistant commissioner Kath Anderson said in a statement. The ATO said the top five mistakes taxpayers make include leaving out some of their income, such as from a temporary job or money earned through the sharing economy, and claiming deductions for personal expenses such as home to work travel, normal clothes or personal phone calls. They may also forget to keep receipts or records of their expenses, or claim for something they never paid for - often under the mistaken belief everyone is entitled to a "standard deduction". Claiming personal expenses for rental properties was the fifth problem area. That could either be when taxpayers claim deductions for times they are using the property themselves, or claim interest on loans used to buy personal assets like a car or a boat. "Know what you can legitimately claim," Ms Anderson said. "There are three golden rules for work-related expenses. You must have spent the money yourself and not have been reimbursed, it must be directly related to earning your income, and you must have a record to prove it. "This tax time we will be paying close attention to claims for private expenses like home to work travel, plain clothes and private phone calls. We will also be paying attention to people who are claiming standard deductions for expenses they never paid for." Ms Anderson said it was important to keep good records. You no longer have to keep physical receipts - a photo is acceptable "provided it is a true and clear reproduction of the original" - but many people still aren't following the rules. "Around half of the adjustments we make are because the taxpayer had no records, or they were poor quality," she said. If people fail to include all of their income, including from temp jobs, cash jobs or capital gains on cryptocurrency, the ATO's data-matching tools mean "even a one-off payment may be enough to raise a red flag". "We know some people lodge early because they want their refund, and that's fair enough," she said. "But we amend returns for thousands of taxpayers that leave out some of their income. "This can delay your refund or even see you owing money to the ATO. If you wait until mid-August, we will have pre-filled most of your income information for you, to help you get it right to start with." Ms Anderson said for people wanting to fudge their returns, the ATO planned to review or audit more than one million taxpayers this year. "We know people sometimes make mistakes or forget to include something on their return," she said. "If you're in that situation, try to fix it as soon as you can to minimise any interest and penalties. Either contact your agent or lodge an amendment online. "Remember - whether you use a tax agent or lodge it yourself, you are responsible for the claims you make. Take the time to check your deductions are legitimate and you have listed all your income before lodging." Emily the early lodger: "Emily likes to be on top of things, and is pretty keen to get her return as soon as possible, so lodges her tax return in early July. Unfortunately for Emily, she's much more likely to forget to declare income from a two-week temp job last year. "By waiting until pre-fill is available in August the ATO will automatically input most of your information from employers, financial institutions and government agencies. "Just check the details are correct and add any missing information. If you're lodging before pre-fill is available, make sure you include all your income to avoid penalties." Fiona the freeloader: "Fiona likes to look her best, so spends lots of money on the latest fashions and make-up to wear to work. "When it comes to tax time, Fiona decides to claim a deduction for the cost of her clothes and make-up as a work-related expense to recoup some of the costs. When the ATO looks into Fiona's claims, they're denied as they're a private expense and she has to pay back the money plus a penalty. "Work-related expenses must have a direct connection to earning your income. However, if you have an expense that has both a private and work-related component, you can claim the work-related portion. "For example, if you use your personal mobile phone for work-related calls, you need to figure out the percentage that relates to your work use, and only claim a deduction for that portion." Disorganised David: "David is a plumber with a bunch of deductions he can claim at tax time. Sadly, for David, his tax time experience is a lot harder than it needs to be because he has forgotten to keep records of his expenses, meaning he can't claim deductions he is otherwise entitled to. "You must have evidence to prove your claims, and you typically need to keep any documents relevant to your tax affairs for five years after you lodge your tax return. "The ATO may ask you to substantiate your claims - even after your tax return is processed - and you could find yourself in hot water if you don't have the records you need to back up your claims." Terri the tax cheat: "Terri isn't entirely honest in her tax return, and claims a number of deductions that she is not entitled to. "Despite working a corporate job in an office where she doesn't wear a uniform, Terri put in a $150 deduction for clothing and laundry, as she has heard that anyone can claim $150 without receipts. She also claimed 5000km on car expenses for work, despite not undertaking any work-related travel. "Unfortunately for Terri, the ATO can check all this data, either by matching against other taxpayers in similar industries or by contacting her employer when a red flag is raised. "Perhaps you've heard that you can claim $50 for work-related phone and internet expenses without written evidence? Or maybe you've been told you can claim up to $150 for laundry without having to keep records? While these statements are true, you must have actually spent the money. "This is on the ATO's radar, so if you're audited you'll need to show how your expenditure was calculated and prove it was directly related to earning your income. "You are responsible for the claims you make in your tax return, whether you prepare it yourself or use a tax agent, so make sure you can demonstrate you actually spent the money." Rob the rental rorter: "Rob has a holiday home on the South Coast. He claims it's for rent but he doesn't make any real effort to rent it out and only makes it available for a few months in the winter, when he knows not many people will be interested in it. "He also charges rent at a rate significantly over market rates, although he lets his family and friends stay at 'mates rates'. Rob declares $5000 in income on the property but claims $69,000 in deductions, which is the total of all the expenses on the property for the full year. 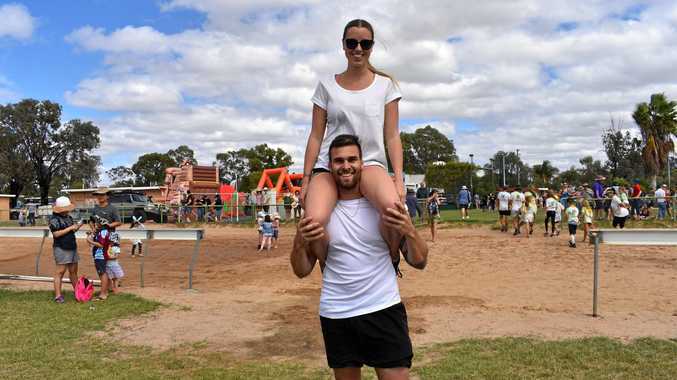 "As Rob's property is not genuinely available for rent for the whole year, he isn't entitled to claim all his deductions for the whole year either. His claims are highly likely to raise a red flag for the ATO to investigate. "If you own a rental property, remember you can only claim deductions for times when your property was rented or genuinely available for rent. To be considered genuinely available for rent, you must have made efforts to advertise to a wide audience. "It must be in a location and condition that will mean tenants will want to rent it, you must charge rent that is in line with market rates and you must accept potential tenants unless there is a good reason not to."